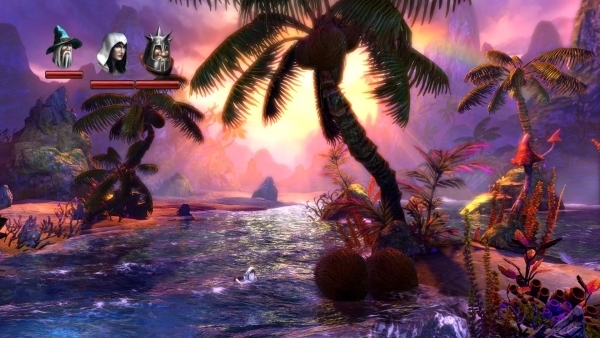 I know that a bunch of us here have played Trine 2, and if you haven't, you should, it's a great game. It's also a very beautiful game, and still one of the best looking games on the Wii U. You can find the contest details right here. There will be multiple rounds, and each round will have 3 winners selected. The winners will receive a prize pack including a Trine 2 t-shirt, an art book, and a Splot plush toy. I know that we have a bunch of artists here, and a few in particular who have made some really neat Miiverse drawings. Why not give it a shot? Neat contest though. I'd give it a shot but some people are seriously talented at this stuff. I think I do good then I see 293529035 drawings that put mine to shame. They probably figure that anyone interested in drawing Trine 2 probably already has it? ...but then again, some people just like drawing on Miiverse. I'm sure some dickhead with too much time on his hands will just dedicate 36.8 hours to some pixel by pixel nonsense that will win. I might throw out a sketch but damned if I'm putting in the time other people do on Miiverse. I think this is the extent of my Miiverse drawing talent. I feel tempted to use a Caddicarus quote here but I won't in fear of obscurity. The time some people put in is ridiculous. I fear what will happen when Art Academy is released.